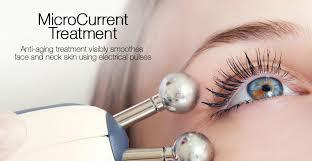 Microcurrent stimulation is a therapy used whereby electric current is provided in literally millions of an ampere. It works on a cellular level to help stimulate the healing process. It is based upon the theory that the body's electrical balance is disrupted when one is injured, so that the natural electrical current of the body changes course. Microcurrent stimulation restores this balance. In fact, microcurrent therapy can relieve pain, stimulate wound healing, help stimulate the regeneration of injured tissue, provide relief to myofascial trigger points, increase protein synthesis, and stimulate lymphatic flow. Microcurrent stimulation is produced in therapy at literally one millionth of an ampere, because this is believed to be the body's own natural current strength. This therefore restores the body's own natural current. 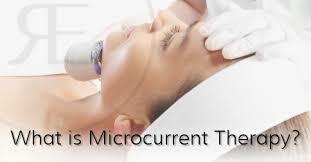 With microcurrent therapy, ATP production increases by 500%. ATP is the primary molecule our bodies use to produce energy and is found in every cell of the body. 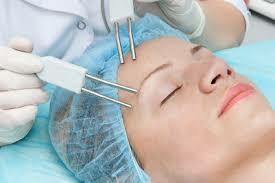 In fact, it has been found that ATP production increased fivefold after microcurrent therapy was administered. As stated previously, protein synthesis also increased, and so did amino acid transport. When microcurrent therapy is used to help heal injured tissue, it restores the natural current flow to the tissue. This in turn allows the cells to regain their own natural energy flow. When injury occurs, the area that has been injured has a higher electrical resistance than the surrounding tissue does. This in turn decreases and perhaps even stops electrical flow through the injured area, which impedes the healing process and promotes inflammation. When microcurrent therapy is used, this resistance is reduced, which allows electricity to flow through and therefore restore normal function. This, in turn, helps stimulate natural healing. In addition, microcurrent therapy can be used at specific frequencies for a variety of tissues and conditions. This can often soften tissue and decrease pain, which provides long-lasting pain relief that may even be permanent. This has some promising benefits that may be applicable to current chronic pain conditions as well. For example, fibromyalgia and myofascial pain have been shown to be greatly reduced and even eliminated with the use of microcurrent therapy. When traumatic injury occurs, such as that which occurs with sports, both tendons and ligaments seem to repair much more quickly, and inflammation and swelling is also reduced. 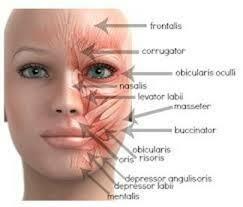 In addition, soft tissue regeneration is improved. It has also been found that if magnet therapy is combined along with microcurrent therapy, the benefits can be amplified. Still another exciting and possible use of microcurrent therapy is to help cure addiction. Behavioral programs such as those used to stop smoking, lose weight, or stop drinking seem to benefit from the use of microcurrent therapy as well. Finally, it may also have antiaging and general health benefits. Thus far, studies have shown that using microcurrent therapy can help stimulate and rehydrate collagen, increase the uptake of nutrients within cells, and significantly stimulate the excretion of waste products, including heavy metal from inside cells. Therefore, microcurrent therapy may soon be on the horizon not just as a pain relief therapy for those who have been injured or who are suffering from chronic pain, but as a general health and well-being "maintenance" practice used to sustain good health. Micro-current Therapy is used in top beauty spas to lift and tone the face, reduce and eliminate fine lines and wrinkles, improve circulation, perform lymphatic drainage, sun damage treatment, skin pigment improvement, product penetration, and much more. 39-percent increase in blood circulation. The Jade Machine is the only device in the world that combines microcurrents with gemstone color, light and sound therapies. This machine has been clinically proven to stimulate the ability of cells to regenerate collagen, elastin and proteins naturally and the “Jade Technique” is considered to be the perfect treatment for erasing wrinkles and fine lines of the face, toning and lifting the face, breasts, abdomen, buttocks and arms. Microcurrent Therapy is used to firm, tone, tighten and re-activate the muscles of the face while also increasing circulation and lymphatic flow to stimulate cellular growth and improve the look of skin’s texture and appearance. 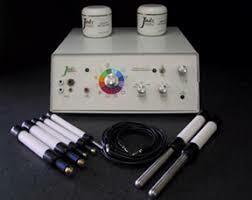 This microcurrent therapy is an anti-aging massage treatment that can provide complete face and body rejuvenation. A microcurrent facelift is a non-surgical, non-invasive cosmetic technique that safely and effectively improves the appearance and health of the skin. A microcurrent facelift uses technologies developed in the medical and physiotherapy fields to activate the skin's natural chemicals responsible for health and vitality. A microcurrent facelift provides satisfying aesthetic results with less risk of side effects compared to a traditional facelift. The microcurrent facelift procedure is proven effective and safe, delivering results at a fraction of the cost of traditional procedures.